If you have information about this crime or any other crime, call us twenty-four hours a day at 889-TIPS, or submit a tip online at www.889tips.com. You never have to give your name, and if the information leads to the arrest and Board approval, you could earn up to $1000.00. Crime Stoppers, Citizens, Police and the Media working together to make our community a safer place to live. Together, we can make a difference. Crime Stoppers could use your help concerning several copper thefts. During the past few weeks, there have been copper thefts in Baylor County. The location of the thefts has been the east and south part of the County, and also in the Lake Kemp area. There have been large amounts of copper wiring and copper fittings stolen. If anyone has seen or heard of anyone selling copper, please contact local law enforcement. Investigators have few leads, and could use your help. Crime Stoppers could use your help concerning a Burglary of a Building at Stevens Tractor Repair in the 200 block of East McClain. Sometime on 02-15-11, unknown person(s) cut the padlock on the east side sliding door and gained entry into the building. After entry was gained, unknown person(s) removed a CPI tool chest. The tool chest was primer white in color and contained assorted hand tools. Investigators have few leads, and could use your help. Crime Stoppers could use your help concerning a Burglary of a Building. Sometime on 09-17-09 after midnight, unknown person(s) kicked in the backdoor at the Rock Inn Café located in the 200 block of West California. After entry was gained, unknown person(s) pried open the office door taking undetermined amount of cash. Suspect(s) also took the cash register containing undetermined amount of cash. Investigators have few leads, and could use your help. Crime Stoppers could use your help concerning a Burglary. Sometime on March 8, 2009 unknown person(s) made forced entry into a barn located in the 6700 block of FM 422. After entry was gained, unknown person(s) removed several horse saddles from the barn. 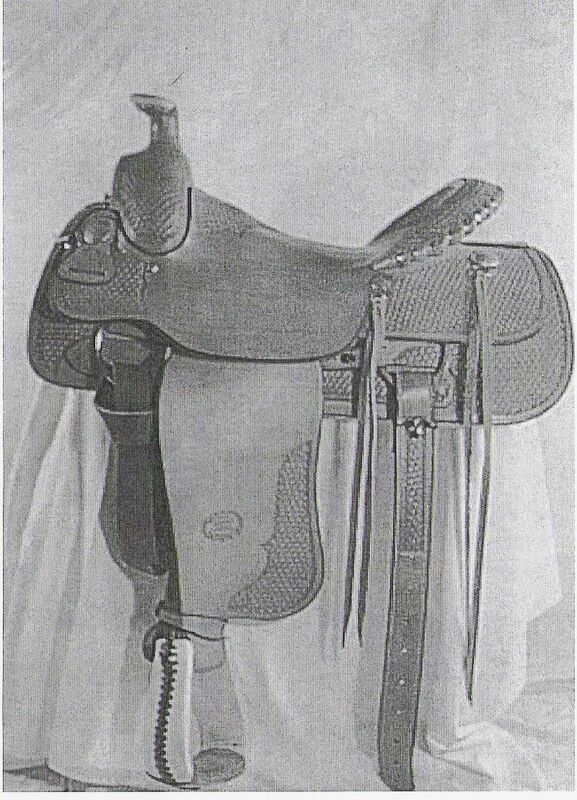 One of the saddles listed was a Bill Chappell saddle 16” to 16 1/2” with silver stitching and gray suede seat. Investigators have few leads, and could use your help. Crime Stoppers could use your help concerning a Theft. Sometime between June 27th and June 28th, unknown person(s) removed several county and state road signs in the southeast area of Baylor County. Approx. 12 signs were stolen valued at $1200.00. Investigators have few leads, and could use your help. Crime Stoppers could use your help concerning a Burglary of a Building. The burglary occurred sometime on March 20th at the Wash & Dry in the 200 block of Mclain. Unknown person(s) entered the business and made forced entry into the storage room. After gained entry, unknown person(s) removed the keys to the washers and dryers and removed the coins from the machines. Investigators have few leads, and could use your help. Crime Stoppers could use your help concerning a Theft. The theft occurred sometime around 01-23-09 at the Bomarton Substation located in the 600 block of CR 467. During this time period, unknown person(s) removed a green toolbox containing several pieces of electrical equipment. The value of these items was approx. $2700.00. Investigators have few leads, and could use your help.